Like fingerprints, your smile is unique. And so is the treatment created by Insignia, a computerized system that combines digital treatment planning with specially made brackets and wires tailored to your specific dental anatomy. The process is simple. Following an initial examination, Dr. Brenda uses our high-tech scanner to capture 3-D images of your teeth for the Insignia smile design lab. Sophisticated imaging software then creates a 3-D representation of your bite while braces and wires are custom-fabricated with the exact orthodontic prescription Dr. Brenda has designed for you. 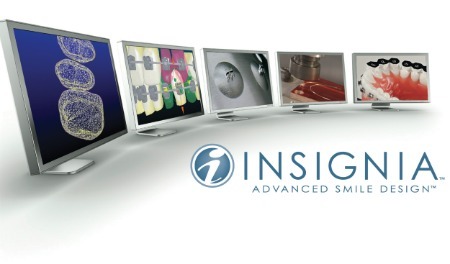 Insignia treatment is tailored to the individual patient. Each aspect is precisely calculated to affect orthodontic tooth movement in the most optimal way, resulting in fewer office visits and exceptional comfort. And because treatment is 100% personalized, Dr. Brenda’s patients often see a reduction in the amount of time they would ordinarily wear braces. Insignia is ideal for everyone – from the adult with the hectic schedule to the teen who wants to be out of braces and on with their smile.